Just a little note from all of us at FoodStuffFinds wishing you a Merry Christmas! 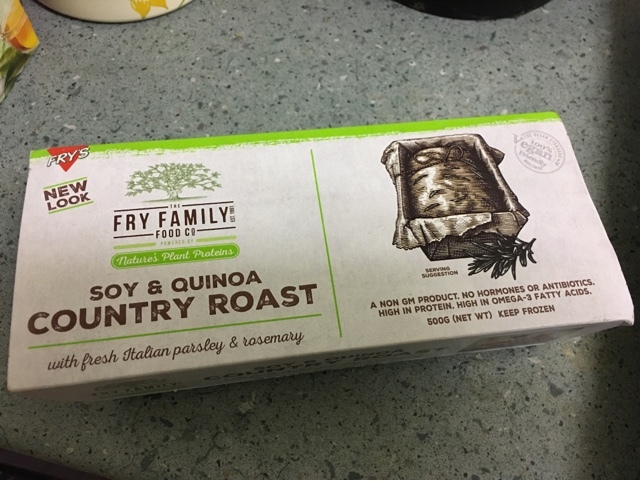 For my Christmas Eve meal with my partner we had a modern take on the nut roast - soy & quinoa country roast. 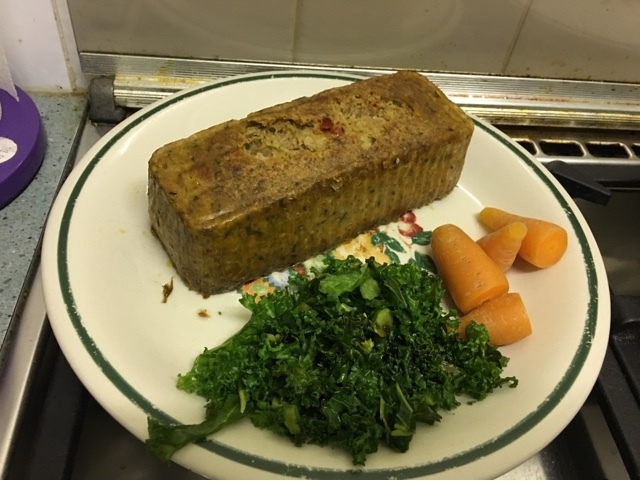 This is essentially a meat loaf but only made with vegan things that you'd actually want to eat. 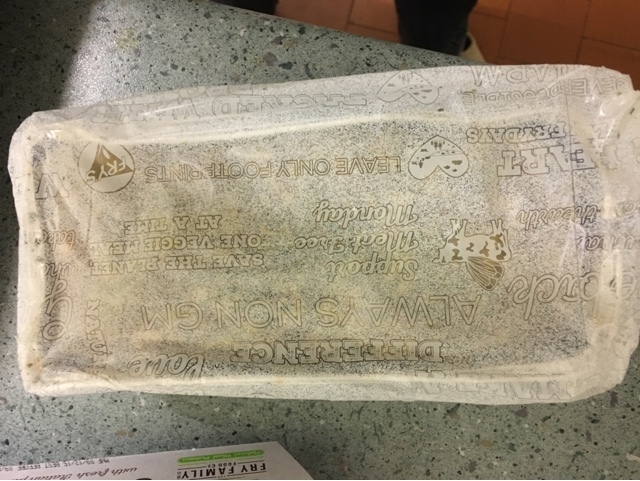 It comes as a frozen block which you are supposed to defrost before cooking. And it turns out like this huge block. It's a lot lighter than it looks and when I turned to ask my partner if she was enjoying it she'd already finished. A fabulous alternative to the standard Christmas heavy meat meal - and with the usual Fry's quality. Something we will totally have again.